Tightly packed trains to Boston this morning foresaw the immense celebration that was the Super Bowl championship parade. 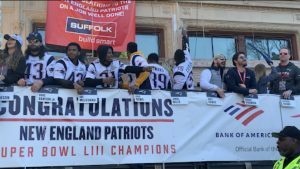 After a 13-3 victory over the Los Angeles Rams on Sunday, the New England Patriots came back home to celebrate with Pats Nation. A day of record warm temperatures in Boston was the perfect setting for the reported one million fans to celebrate. 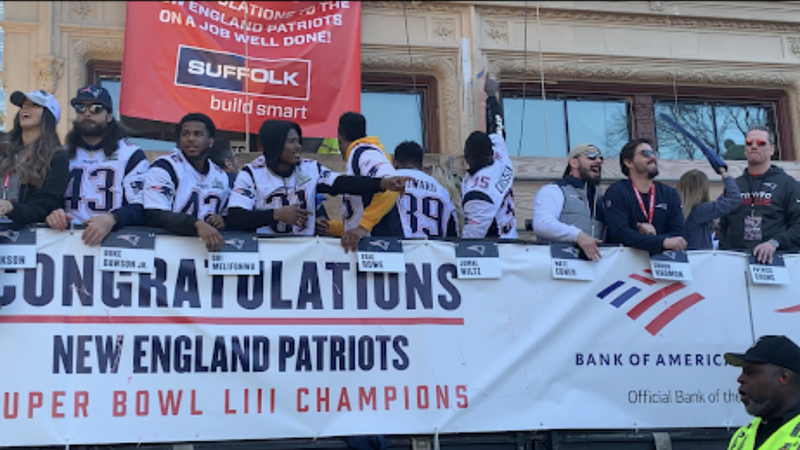 The duck boats took the Patriots from Hynes Convention Center to City Hall. The victory comes less than 100 days since the Red Sox took the 2018 World Series title. But today chants of “We’re still here!” and “We want seven!” could be heard around the city.